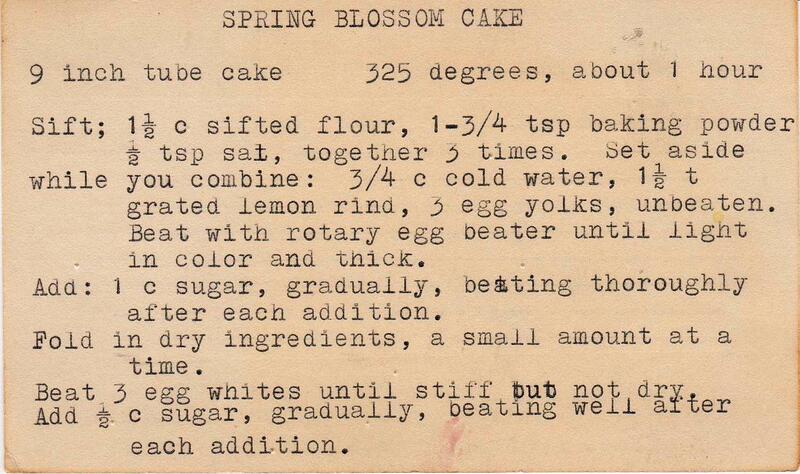 I'm quite ready for winter's end, and thought I'd I do my part to hasten the arrival of warmer weather by baking Spring Blossom Cake. Let's just hope that God, wherever she is, has better luck. My cake was a total fail. It was disappointing on so many levels -- uneven appearance, poor taste and texture and, not to mention, the waste of time and three farm-fresh eggs. All looked promising in the beginning. 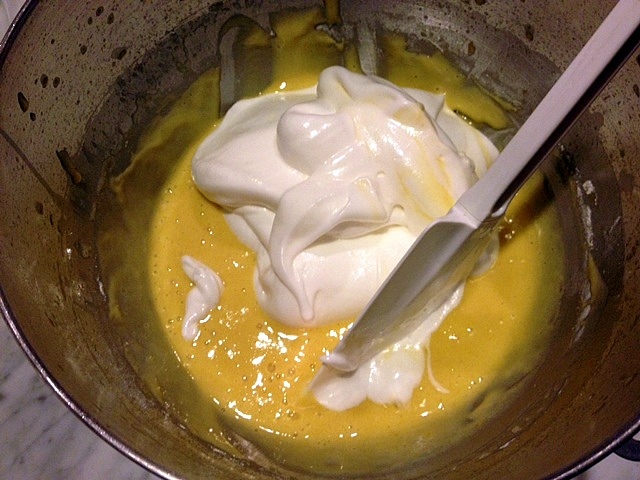 I mixed the eggs, lemon and flour, and folded the meringue into the batter. But when I remove it from the oven and turned the pan upside down to cool (as per the instructions), the cake plopped out of the pan and on to the counter. (Forgive me for not photographing that hot mess -- I was so shocked that I forgot). 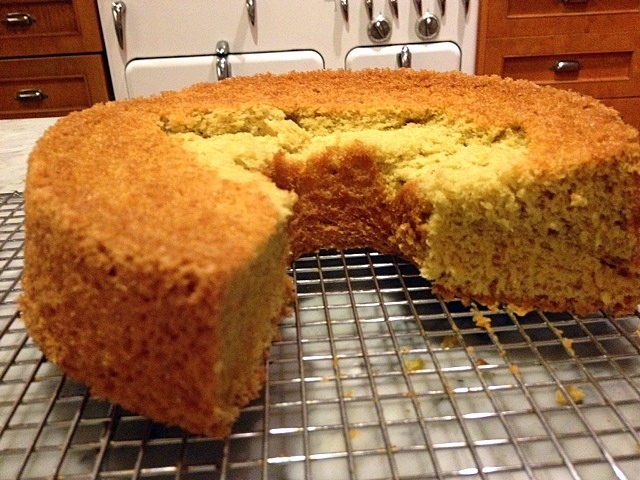 Even though quite a bit of the cake remained stuck in the pan, I slid a spatula under the cake and carefully moved it onto a cooling rack, thinking I could fill the empty places with extra frosting. That is, until I tasted some of the cake stuck in the pan. It was not good. Not sweet. An odd rubbery texture. There was no salvation, no promise of spring or anything else. Of course, that didn't prevent me from eating way too much of that mistake (for research purposes, I told myself as I cut a third slice). I flipped what remained upside down in order to cover it in plastic wrap and discovered that it looked fine. 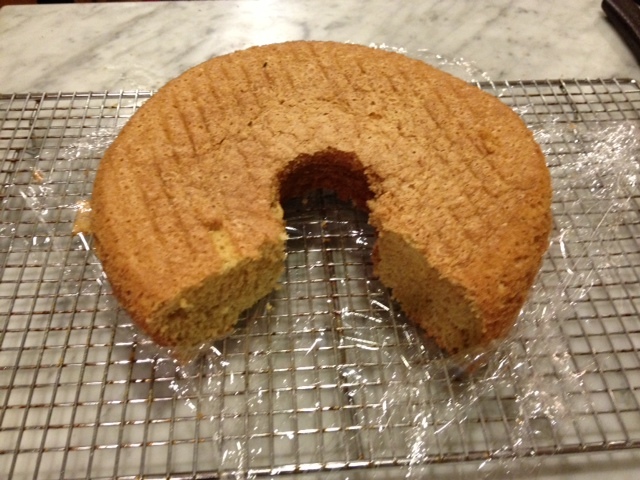 Now if it had tasted fine, I would have been angry at myself for "ruining" the cake by cutting it. Lesson learned: Sometimes, looking at something from another angle makes all the difference. 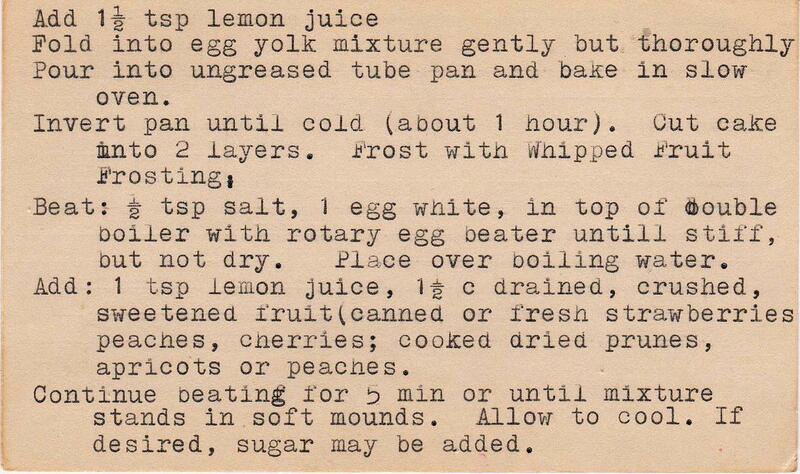 Here's the recipe. Don't try this at home. too bad, what a waste. 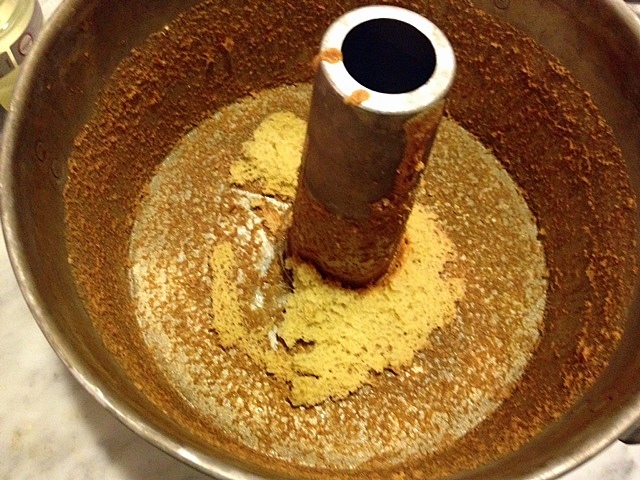 I hope you didn't sift the dry ingredients 3 times! Do you think she forgot something in the recipe? I did sift three times! 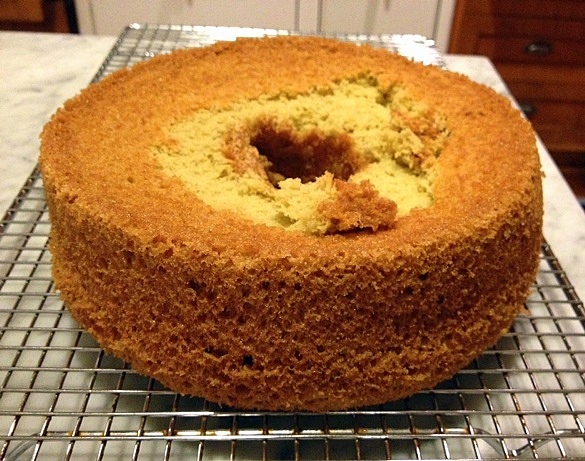 And I'm glad I did, because I can't blame lack of sifting for this cake wreck. I still can't figure out what went wrong. How disappointing! 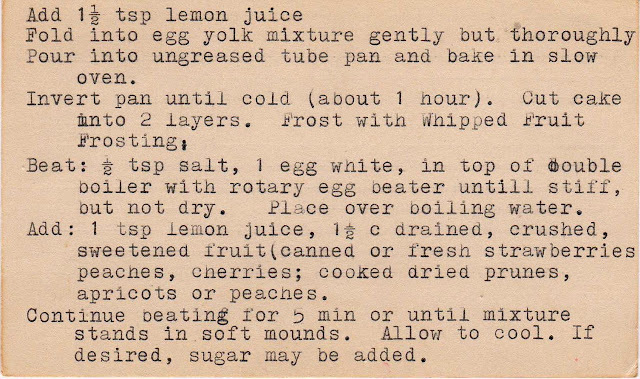 Sacrificing good ingredients for a not-so-good recipe always irks me. 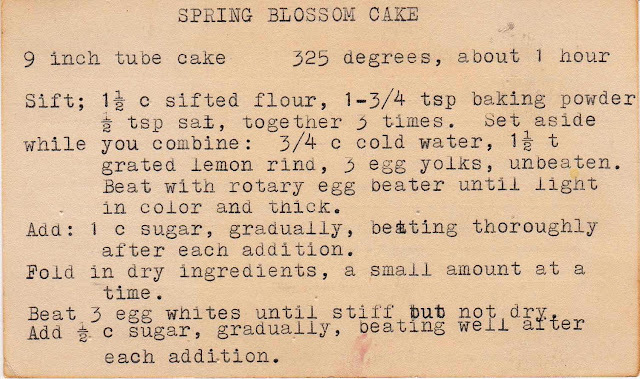 In looking at the recipe, 3 eggs seems like a lot for only 1-1/2 cups of sifted flour. Did it taste egg-y? Dawn -- That's exactly right; wish I'd figured that out before baking it. It did taste too egg-y, and that rubbery texture...ugh. Bummer. But thanks for trying! Oh gosh, that is disappointing. I make several new recipes every week that don't seem to turn out well along with a few that do. I guess we keep trying and that's how we find the keepers. Christine -- It's those few great ones, those fabulous discoveries, that keep up baking, I guess.